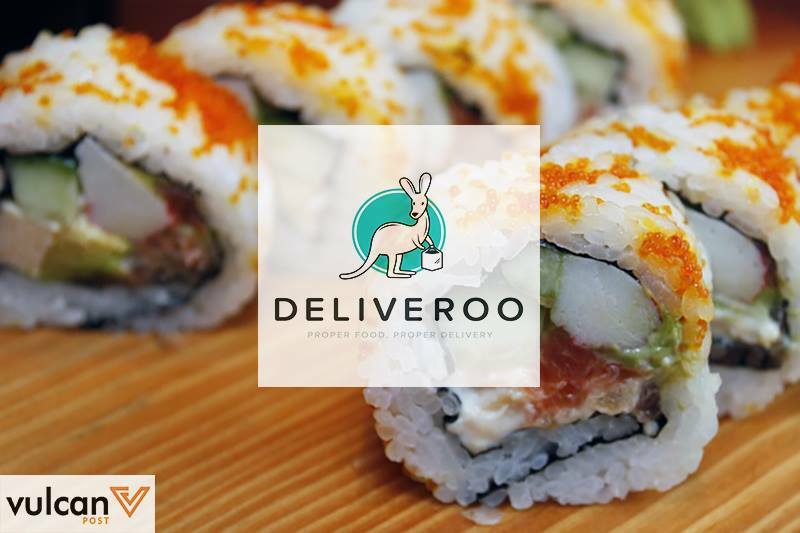 Singapore’s online food delivery scene just got more competitive and diverse, with popular UK-based service Deliveroo kickstarting operations here to deliver your favourite restaurant meals right to your doorstep. In its first foray out of Europe, Deliveroo hopes to bring Singaporeans on-demand meals from restaurants that typically don’t offer take-out services. Think a bowl of beef shin from Pho Stop, or a hearty salmon sandwich from Cedele, delivered to you in a takeaway box. With a commitment to avoid low-quality takeaways, this two-year-old startup seems to be telling us that there’s no shame in enjoying a posh meal from the comfort of your couch or office desk. 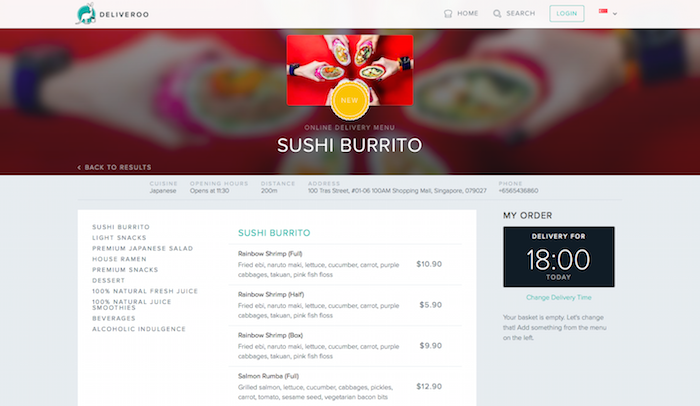 While the Deliveroo app is still in the works, you can check out its website: the service currently delivers to five areas in Singapore — Bukit Timah, Kallang, Katong, the Central Business District and Tanglin, with plans to expand to 11 more areas before the end of the year. The online food delivery business, while relatively new in Singapore, is getting increasingly crowded. 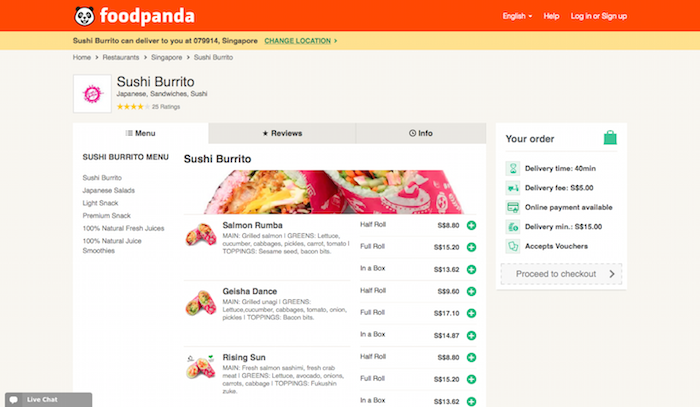 Deliveroo will be in for tough competition from fellow players, perhaps most notably from Foodpanda, which has a strong presence both in Singapore and regionally. Both Deliveroo and Foodpanda seem to be targeting office workers as a key consumer base, with the former primarily serving business areas at present, and the latter announcing an increased focus on business customers. With similar consumer profiles, there is some degree of overlap between the offerings of Deliveroo and Foodpanda. For instance, both sites suggest Sushi Burrito as an option for this hungry writer. Deliveroo certainly has its strengths — it comes with a flat delivery fee of $3 and also promises an average delivery time of 32 minutes. However, in this particular instance, Deliveroo turns out to be the pricier option, requiring a minimum delivery of $25, compared to Foodpanda’s $15. Then again, this increased cost is to be expected, with Deliveroo’s emphasis on serving premium quality meals. The new entrant also has the added advantage of offering some favourites not listed on Foodpanda, including Kinki Restaurant, Chopsuey Cafe and Meat Liquor. It does remain to be seen whether Deliveroo will adapt to provide a more local spin on its offerings. 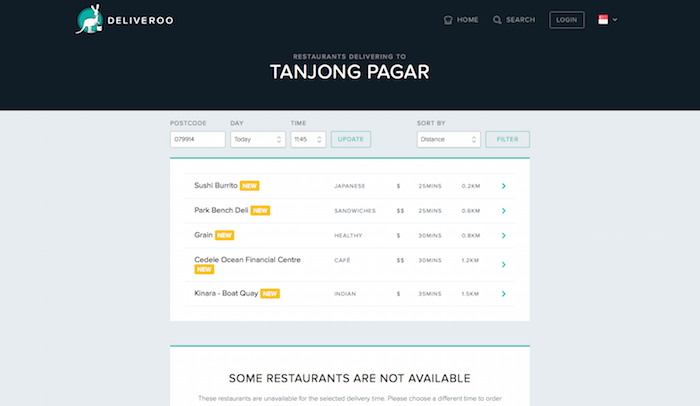 This will be in the face of competition from new players in the market who are differentiating themselves with a more heartland twist to their fare, such as Hawker.today, an app (currently in beta) that delivers local hawker delights. Regardless of whether it gains traction in Singapore, prospects do look promising for Deliveroo globally. Having just secured a further US$100 million in investment funding, the company looks poised to grow, expanding not just on Singapore’s shores, but also in Dubai, Hong Kong, Melbourne and Sydney. It will be interesting to keep an eye on this startup, and other new entrants vying to satisfy the average Singaporean’s hunger pangs.